Many neighbors from Montello to Orren are reporting no power. 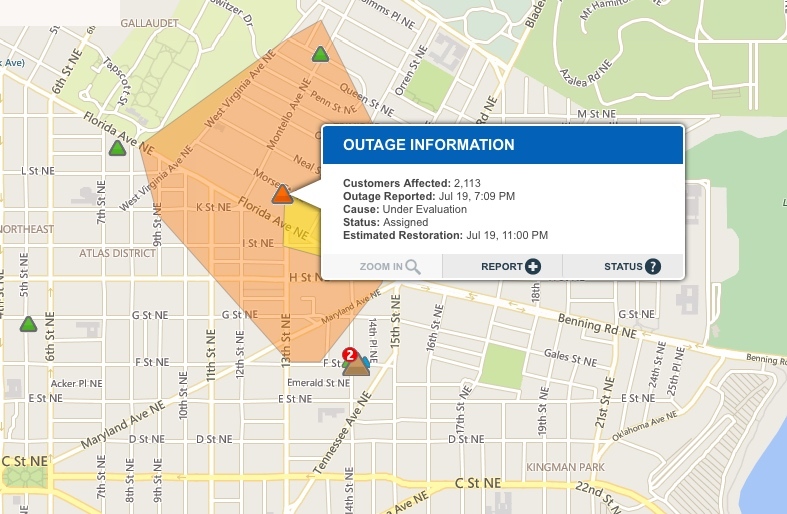 Pepco’s Outage Map indicates power will be restored by 11pm tonight for most of the 2,000+ customers currently affected. Restoration time for a smaller number of customers in the northern section of Trinidad may not have power restored until 4am. Pepco states these times are conservative, so your power may be back on before then. Posted on July 19, 2015, in Uncategorized. Bookmark the permalink. 1 Comment. The website taste is wonderful, the articles is actually great : D.